Redbud Oklahoma - Tree Top Nursery & Landscape Inc. 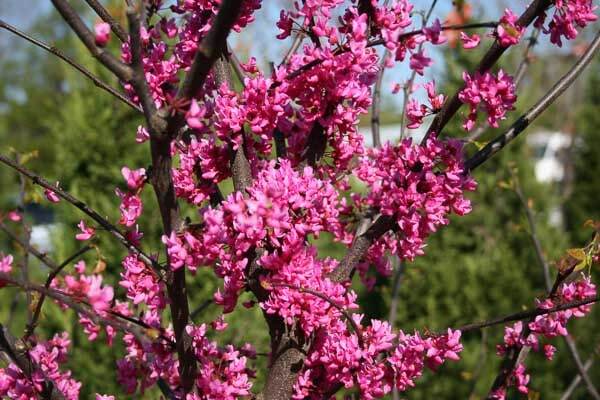 This small ornamental tree has bright pea-shaped purple to lavender flowers in the early spring. It has heart shaped leaves that are dark green and glossy throughout the summer and turn a pale yellow in the fall. 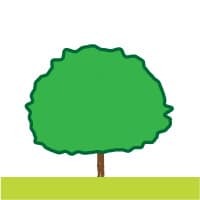 It stays compact and is a good tree for planting under power lines or as an accent. It is drought tolerant but intolerant of wet soils, and can tolerate full sun and some shade.